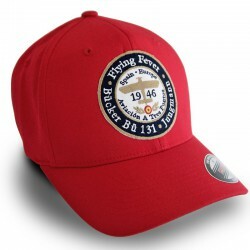 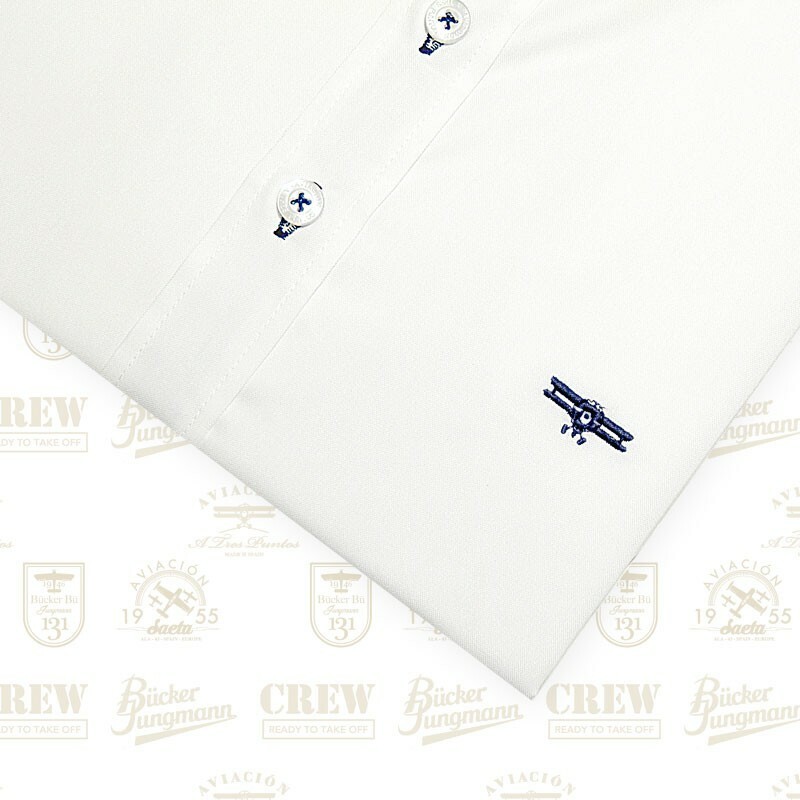 100 % cotton white shirt with navy blue embroidery plane. 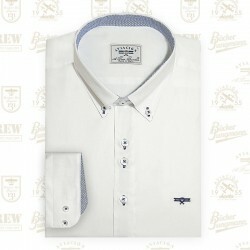 100 % cotton white shirt with navy blue embroidery plane . 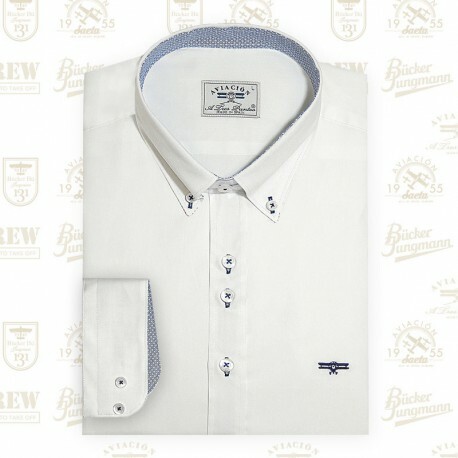 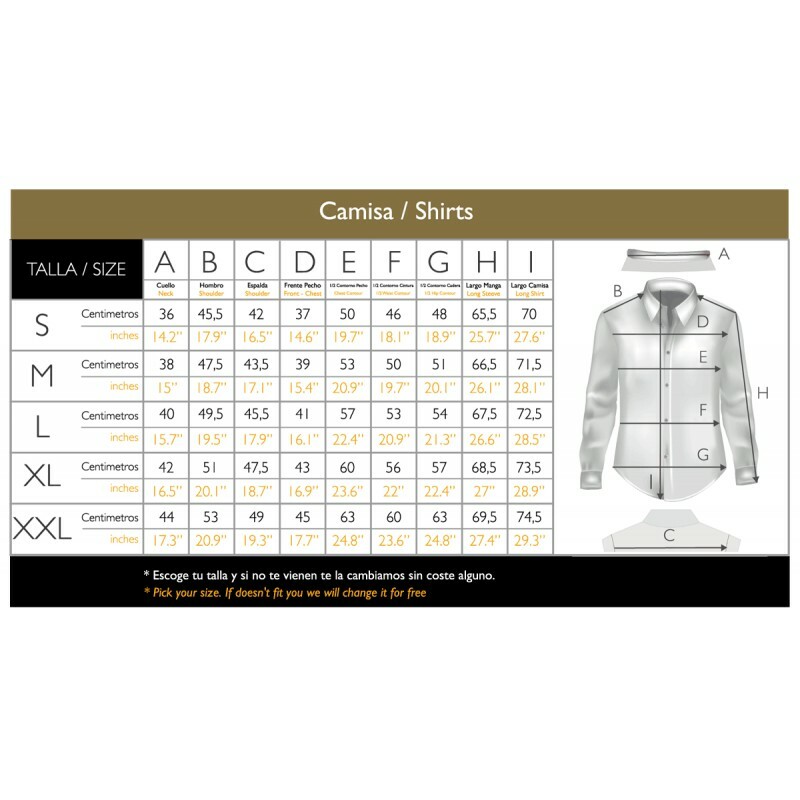 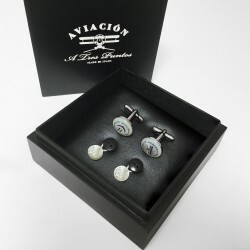 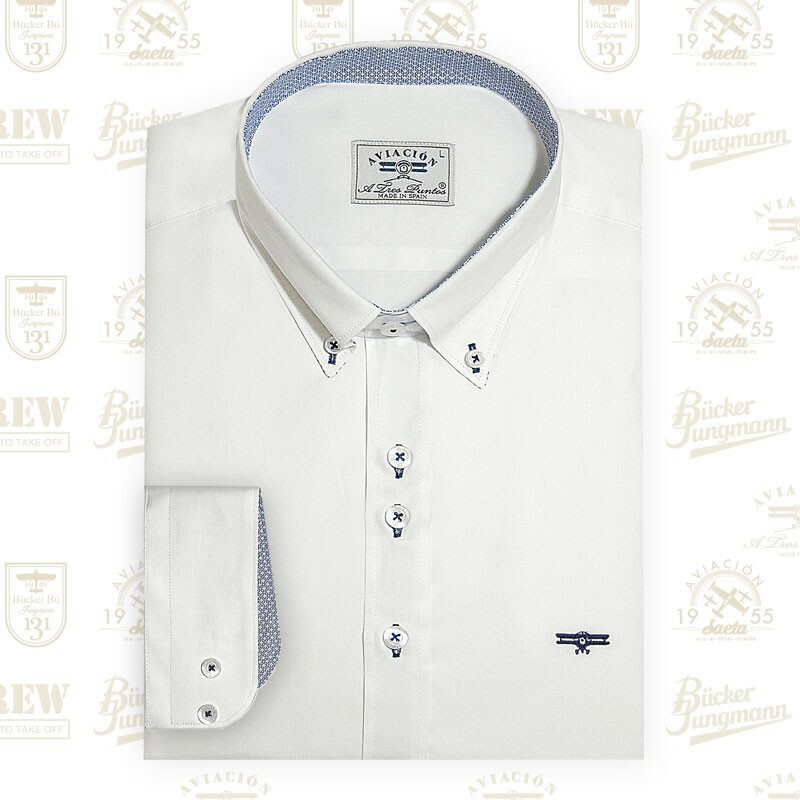 The shirt has stamped detail based on the 70 on the insides of cuffs, lapels and neck.